Management Team : Wealth Minerals Ltd.
Henk has had a long and successful career building exceptional value for shareholders. Henk has been directly responsible for raising $200 million in the last 10 years and has been closely associated in financing an additional $800 million. Early in his career, Henk founded and operated a number of service-related companies, beginning with a line cutting operation in northern BC and culminating in a drilling company (Hydracore) which was founded in 1985 and is still in operation today. In 1991, Henk founded Pacific Rim and travelled extensively throughout South America, acquiring the Taca Taca, Diablillos, and Aqua Rica projects under his leadership. All of these projects have developed into significant deposits and/or high value M&A transactions. Henk laid the foundations for the organization to become a successful South American based resource company, peaking with a market capitalization of $285 million under Catherine McCleod’s leadership. From 1994 to 1999, Henk served as Vice-President of Corriente Resources Inc., during which time he acquired a number of assets for the company including Taca Taca, which had been relinquished by Pacific Rim. Corriente also acquired Mirador, which ultimately sold to a Chinese group for 680 million. Upon leaving Corriente, Henk founded Cardero Resource Corp. in 1999. Cardero became a successful exploration company, with multiple high-profile exploration projects including the Baja project in Mexico. In 2003, Cardero purchased the Pampa de Pongo iron deposit from Rio Tinto for $0.5 million, which was a counter-cyclical investment at the time. Following $3 million of expenditures, Cardero sold it to a Chinese company for $100 million cash in 2009. Most recently, in 2010, Cardero acquired a 120 million tonne metallurgical coal asset in BC and in less than three years of exploration, grew it to be more than 5 times larger with a positive pre-feasibility study. Henk founded Wealth Minerals in 2005 and has served as President, CEO and Director since that time. In 2006, Henk began spinning out key acquisitions into public entities. He was a co-founder of International Tower Hill (ITH) Mines in 2006, placing undervalued Anglo Gold assets into a public vehicle. Henk served as Chairman of ITH for 5 years, leading the course as the company went from a $0.60 IPO to more than $10.00 per share and a market cap of $800 million. Trevali Mining was another successful spin-out, which, under the leadership of Dr. Mark Cruise, has grown to be a zinc producer in Peru, with a Canadian operation due to begin production in 2015. Trevali has raised more than $400 million in the market over the past few years and the company’s market cap is currently around $200 million. Mr. McCutcheon is a mining and finance professional with over 20 years of international business experience. He has led several mining development companies with assets in Russia, Slovakia and Ghana. Additionally, Mr. McCutcheon has served as an advisor to a wide range of natural resource companies, playing key roles in administration and capital market strategy. Prior to moving to the mining sector, Mr. McCutcheon worked in multiple financial institutions such as Bear Stearns, Aton Capital and Pioneer Investments as an award-winning metals and mining sector analyst and as an investment banker. He also was a founder/partner of DBM Capital Partners Ltd, a leading boutique metals finance institution which managed the mining fund Sayan Investments Ltd and advised multiple base and precious metals mining companies active in Europe and Asia. Mr. McCutcheon has a BA and MBA from Columbia University, New York, USA. Marcelo A. Awad is a Chilean mining executive with a long and distinguished career in the mining sector. Mr. Awad started his career with Codelco, where he worked for 18 years in both Chile and the UK, most recently as Executive Vice President – Copper Trading & Futures. During this time, Mr. Awad was elected as a Director of the London Metals Exchange (LME) from 1990 to 1993. Following his career at Codelco, Marcelo then spent 16 years with Antofagasta, initially joining as VP of Sales and Marketing in 1996 and serving most recently as Chief Executive Officer from December 2004 to March 2012, when he oversaw a very significant period of growth for Antofagasta. In 2012, Mr. Awad was appointed President in Chile of the multinational corporation Millenium Energy Industries, a leading global solar solutions provider, which successfully engineered the world’s largest solar heating system (a 25MW system in Saudi Arabia). Later the same year Mr. Awad was appointed as a Director of the Chilean Copper Commission (Cochilco) and the Deutsche Bank in Chile. More recently, in 2013, Mr. Awad was appointed as the Deputy Director of Barrick-Chile, which manages the Pascua Lama project. Mr. Awad provides advice on regulatory issues and government relations in Chile. Mr. Awad currently serves on the boards of Finning International Inc., the world’s largest Caterpillar dealer, Echeverría Izquierdo S.A., a Chilean engineering and construction company, and AC Perforaciones S.A., a Chilean drilling services company, and on the Advisory Board for the Americas of the Australian consulting company, Partners in Performance. Mr. Awad is also a senior advisor to both Mitsubishi Corporation Investments Chile and Sierra Gorda SCM (a major mine development in the Antofagasta region and a joint venture between KGHM Polska Miedz S.A. and Sumitomo Corporation). John is a geologist with over 25 years’ experience specializing in porphyry copper-gold, epithermal and skarn deposits throughout the Americas. Previously John held the position of Chief Geologist for Corriente Resources and was responsible for all aspects of exploration and resource definition at the company’s Mirador, Panantza, and San Carlos porphyry copper deposits. Corriente was sold in 2010 for CAD$679 million cash. Most recently John served as COO for Indico Resources Limited, where he helped advance the Irmin (formerly Ocaña) copper oxide deposit towards production prior to the project receiving financ from a new operating partner in 2015; this partner signed a letter of intent to purchase the project in mid-2016.John is also Chief Geologist for Cardero Resources Corp., which owns the Zonia copper oxide deposit in Arizona. Mr. Jil most recently served as Manager of Lithium Extraction Technologies of Albemarle’s Lithium and Advanced Materials global business and was with that company for five years. 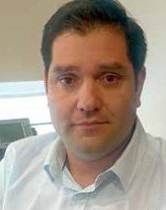 He is an expert in the latest technologies and methodologies regarding lithium beneficiation from natural brines, and has worked in the Atacama, Antofalla and Silver Peak salars/salt lake beds. At the Atacama, Mr. Jil worked to implement new processes to increase lithium recovery yields by approximately 30%. He also led process changes at Albemarle’s Atacama lithium refinery to reduce water consumption by 10% and brought operations into line with ISO standards. Prior to Albemarle, Mr. Jil worked at Anglo American’s Mantos Blancos copper project in Chile, with the task of optimizing operational processes. He also was a process engineer for Sociedad Chilena de Litio, a world leader in processing lithium to lithium carbonate and lithium chloride for the global chemicals industry. Marla brings over 25 years’ experience in public markets working as an Administrator and Corporate Secretary specializing in resource based exploration companies. She has been the Corporate Secretary for Wealth Minerals Ltd. since August 2006. Between 1992 and 2003, Marla worked for Ascot Resources Ltd, Brett Resources Inc., Golden Band Resources Inc., Hyder Gold Inc., Leicester Diamond Mines Ltd., Loki Gold Corporation, Oliver Gold Corporation and Solomon Resources Limited. Currently, she is also the corporate secretary for Cardero Resource Corp., Corvus Gold Inc., Centenera Mining Corporation, International Tower Hill Mines Ltd. and Trevali Mining Corporation. Mr. Cross is a Chartered Professional Accountant, Certified General Accountant and is a partner in the CPA firm of Cross Davis & Company LLP which focuses on providing accounting and management services for publicly listed entities. Mr. Cross began his accounting career at a Chartered Accountant firm in 1997 and obtained his CGA designation in 2004.